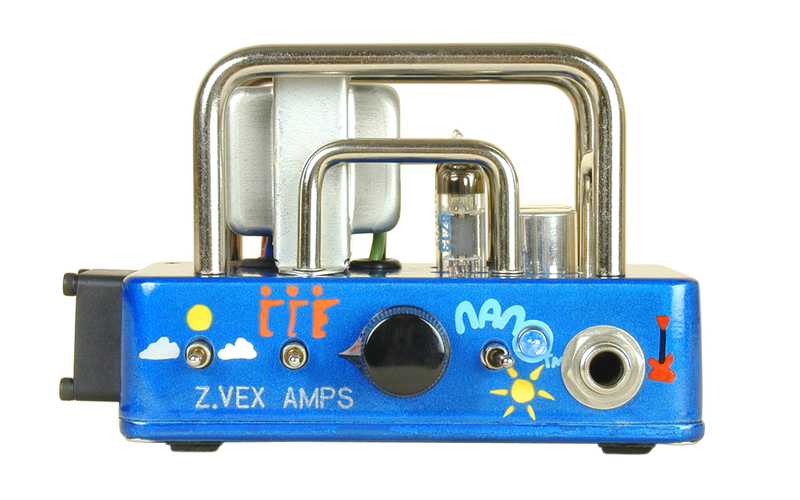 Nano Head, Tube Guitar Amp Head from Zvex. volume knob, "clean", high and low pass filters and gain control. I use a 12 'celestion blue, ca gouache and severe, is a 25% to 50% stronger I become deaf. Les paul for rock (U2. .. and others) I am rather a guard has its own slightly distorted clean well. To send the large gouache is simple you need a little because the HP on a 12 rapidemment we become deaf. Do not be fooled by the size and power of the machine. A small pb on the switch changes that make a small "tsit" on his rule on the interuptor qd. prefer a model in late 2005 with a fan with lateral recess for the screws ... less noisy. 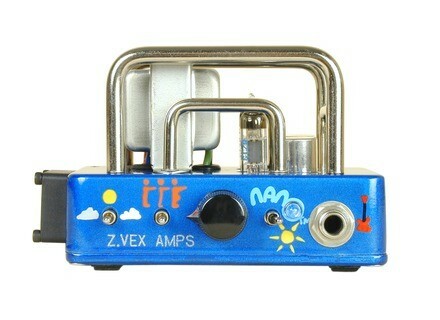 Support for US Zvex is fantastic, cheap, fast, easy no complaints. Ladies and gentlemen, here is the smaller tube amp in the world! Impossible not to fall in love with this amp miniature. Quality construction and superb finish, as usual. The manual is clear. On the other hand, the use of this little amp is fairly instinctive. The manual is mainly there to recall the principles of applicable precautions, because even if small, is a full-fledged amp, with high voltages! 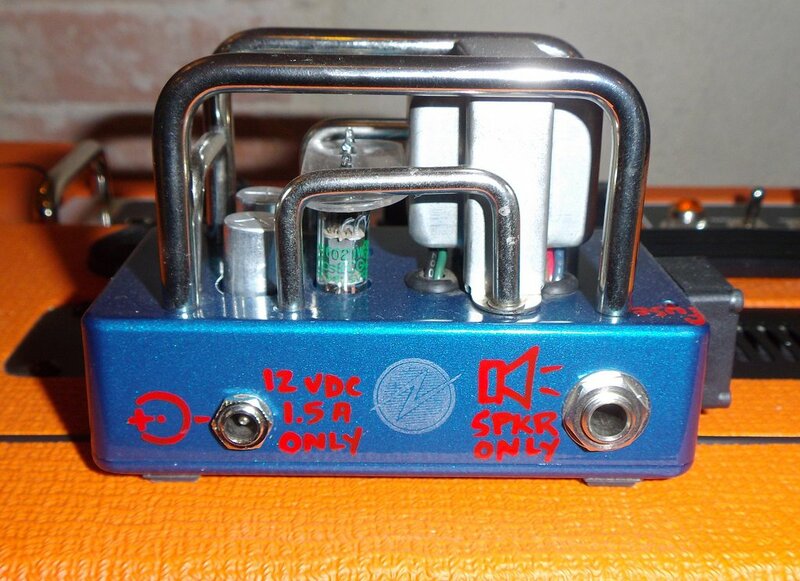 The single volume knob / gain is accurate, sensitive and progressive. Selectors brightness, tone and channel are to be reserved for little fingers. No, no footswitch to switch channels ... Nor must not exaggerate! But behind her toy aspects, it is still a real amp! If, as I assure you it is a real amp! Connect it to a 4x12 "... to understand the speaker output is not just for show. After reading the specifications, is doubtful: 0.5 Watts connected to a 4x12 "?? What a joke! As Zack Vex makes clear, the HP system is a kind of "joke". In fact it sounds quite ... rotten. But he has the good sense to be there. Now, we plug in a speaker, a real one. 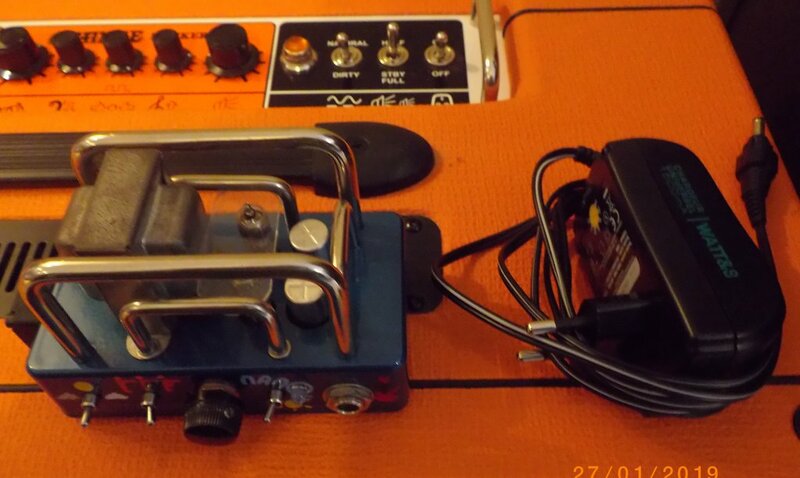 For my part, I connected the mini head on the speakers 2x12 "combo with my Marshall JVM-410, Mesa RoadKing 2, Orange and Vox AC30 Rockerverb 50-CC2X. I have not tried it on my Fender for stories impedance output. Result? But it is monstrous that this small! Mini can be, but Max later sounds. For clean sounds, of course, with 0.1 Watts max, reserve sounds clear and limited. It happens quickly on light crunch. Cons by the input sensitivity is high, so it is entirely possible to turn the volume up and down the guitar volume to find clear sounds. Mode "bright" adds that little more treble in picking very nice, very Fenderien. With the tone control, you can calmly address registers more jazz or blues version of "women tone" on Clapton. Side distortions, the volume quickly becomes more than sufficient and it is surprising to have to decline! This time we enter the field of Marshall with a pretty wild distortion to attack slowly riffs well drooling at the AC / DC. For metal, it will then add a little pedal, but in Zvex SHO for example, may already be responsible for much thicker sound. A simple boost can make the deal with this very high input sensitivity. Beware the ears, chihuahua in hormones can scream as heavy and strong as a newfoundland! 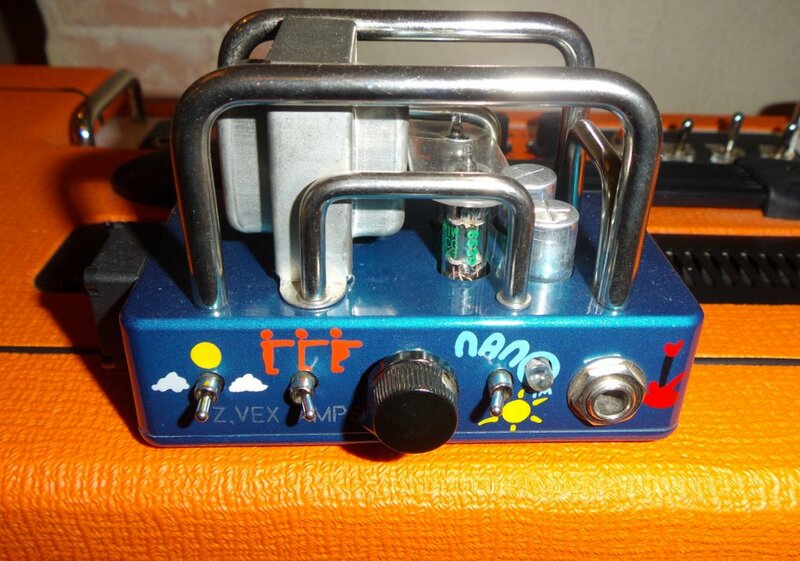 This micro amp is a real gem, with a beautiful grain and wide versatility. Zack Vex is a sound engineer by training, and even art as practiced in this area for 10 years. So he knows what he's doing. This mic amp that the appearance of a toy hidden in truth a fantastic amp that speaks much better when it is connected on good HP. The grain is so incredible. A marvel to address the clacking sounds clear and bright, or warm and round, but the good hard rock distortion much slobbering. All with a nice presence and a lot of character. Obviously, the price ... For 500 euros you can afford a head Bugera All Tube 120 Watts. But here we are in a different area. He crafts high-end and the technical prowess and musical. The quality / price / watt is pretty disastrous but this is a little gem that is insensitive to this type of market considerations. Zack Vex thank you to dare such eccentricities.